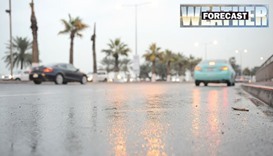 Thunderstorms are expected along with strong winds in some places on Thursday, the Qatar Met department has said. The weather office has also forecast thundery rain in offshore areas, along with windy conditions and high seas towards the north. The wind speed may go up to 25 knots inshore during thunderstorms. Offshore, it may reach a high 22 knots at the time of thundershowers, with the sea level rising to 7ft. 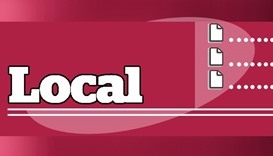 The detailed forecast says relatively hot conditions are expected during the daytime along with scattered clouds. There are chances of thundery rain in some areas by the afternoon, followed by mild conditions by night. Cloudy conditions are likely in offshore areas and there is a chance of scattered rain towards the north, which may be thundery at times. 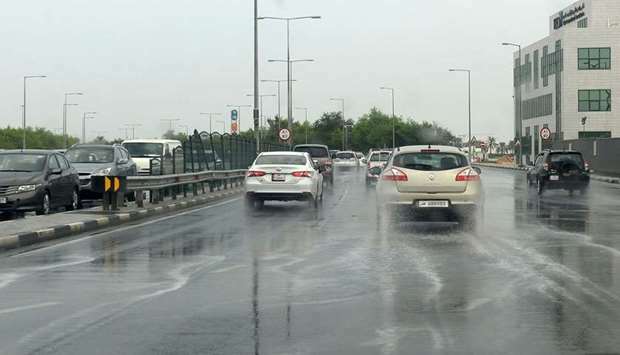 The minimum and maximum temperatures expected in the country on Thursday are 21C and 34C, both in Abu Samra, while Doha will see temperatures in the range of 25C and 31C. 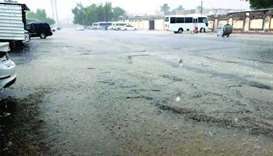 On Wednesday, too, Abu Samra experienced the lowest as well as highest temperatures at 21C and 35C, respectively. In Doha, the temperatures were 26C and 32C. 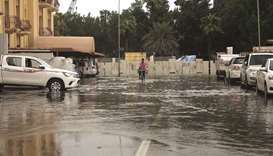 Meanwhile, the Ministry of Municipality and Environment's committee in charge of handling rainfall emergencies and risks has discussed at its meeting preparations for the rains expected next week. 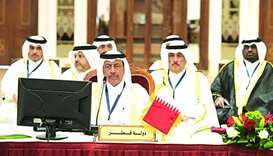 Committee head Safar Mubarak al-Shafi said all the preparations have been reviewed in co-operation with municipalities, the Mechanical Equipment Department, Public Works Authority (Ashghal) and Internal Security Force (Lekhwiya) at the Ministry of Interior. Al-Shafi reiterated that plans and programmes have been lined up to prepare field teams and provide assistance to tackle emergencies arising from heavy rainfall. He also disclosed that potential sites of rainwater collection have been identified.